The tatkal passport scheme is for individuals who are in an urgent need of a passport for various reasons including a trip abroad, as an official document of identification etc. Imagine this situation: You have to go abroad for a business trip soon but you are devoid of a passport! Well, do not fret. Passport Seva with its Tatkal passport scheme, has come to your rescue. Availing a passport is a long tedious procedure, with documentation and police verification consuming time. In the tatkal arrangement however, one can get their passport delivered quickly and hassle free. The tatkal passport scheme is for individuals who are in an urgent need of a passport for various reasons including a trip abroad, as an official document of identification etc. 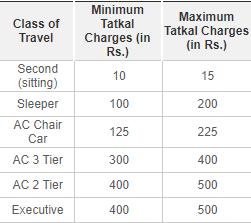 Since the service is tatkal, one has to pay an additional fee of Rs 2000/- as levied charge. Moreover, the police verification in the case of tatkal passports happens after the issuance of the passport contrary to the procedure for normal passports. 1. Not only the the tatkal scheme gives you the benefit of an early appointment but also quick dispatch of your passport. One can expect their passport to reach their doorstep in 1-3 working days. This depends on whether you require a police verification (in case of passport issuance) or not. 2. For tatkal appointments, one needs to book an appointment under the tatkal quota. However, if one is unable to book under the tatkal quota, then a normal appointment can be made specifying the tatkal quota. Thereby, the individual will be charged the additional tatkal fees. Proof of Current Address which may include ones Aadhaar card, PAN card, electricity bills etc. 4. The passport office has the final say over the issuance of passport to individuals. According to the instructions by the passport Seva, there are certain group of people who cannot apply for tatkal passport. People from Nagaland and Jammu and Kashmir cannot apply for a tatkal passport. Moreover, complex cases involving adoption, application on behalf of a minor from single parent, major change in name, duplicate passport, doubtful documentation, will require additional time for verification. 5. If your passport is damaged but legible i.e. passport number,name, photo etc, then you can apply for the Tatkal scheme. If the passport cannot be recognized then approach your Passport Officer at your nearest Passport Seva Kendra to avail a passport on urgent basis. A rebate of 10% on basic passport fee is applicable on passports for minors below 8 years and senior citizens above 60 years.